With the advent of so many different energy products, we have no clue what’s safe from what isn’t safe. There are numerous products ranging from drinks, gum, candy, mouth strips, too even visual energy aids on the market. With so many products, its hard for us to decipher the junk from what’s really good for us, and what actually works. This herb is one of the most popular herbs in the Eastern world. It invigorates the body by helping the spleen and liver to effectively promote bodily fluids. It helps the body to produce the fluids necessary for your body to function properly. The blood building qualities that this herb has is a must have for those with illnesses like chronic fatigue syndrome. Its also excellent for those who may not have any ailments or illnesses, yet feel fatigued a majority of the time. This makes this herb excellent for those who are physically active, due to sports and other vigorous physical activities. Codonopsis also is rich in immune stimulating polysaccharides, which help the body to fight off disease and keep it healthy, therefore it helps to keep your energy level up and less likely from dropping off. It’s also great for those who are looking to stabilize their metabolisms naturally. It can be a great replacement for some of those over the counter metabolism fighters that you see being sold in major department stores. As an energy supplement it does not take effect right away, rather the effects are felt over a short period of time if taken orally. However, if you consume it in tea, you can feel the effects pretty quickly, almost like drinking an energy supplement from a gas station, except without all of the nonsense. Nettles are a powerhouse when it comes to energy. They act by carrying energy from the inside out by nourishing the adrenals. They effectively carry nourishment to your cells in your body making you not only alert, but also happy. 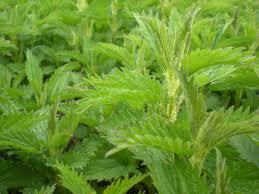 Studies have shown that supplementing with Nettles are great for those of you whom have mood swings. They act to counterbalance the bodies imbalances, therefore creating balance and proper mood function. The best way to take nettles is too drink it in a tea based form. By drinking it in tea, you will be able to feel it working pretty fast, depending on your body, about with in an 5-20 minutes. Nettles tea can be served cold as well, making it a good alternative too pre workout supplements. Take 2 bags of Nettles tea and add some lemon and honey, and you have yourself an all natural pre workout supplement. Be sure to purchase it from a reputable location, do not purchase it at a dollar store or anywhere else that cheap goods are sold. There are a few ways you can take nettles. So try them out and see which way works best for you. Besides drinking tonics and potions, and getting the latest fad supplements. Here are a few other ways to help you out to get some natural energy. Listen to music- By putting on something fast paced and exciting, you stimulate your senses, and by doing so you create some new energy. Feel free to move with the music and get into it, you will notice you will begin to feel alert and ready to go. Get out in nature- By going outdoors, you start feel better, while becoming more alert and awake. Take a walk somewhere that you like the scenery. By doing so you open new paths too your energy centers in your body. Using Water- It could be that your body is low on water, so by drinking a few glasses, sometimes that helps to revive you a bit. You can also either take a cold shower, or even simply splash some cold water on your face. Great Video On How To Get Natural Energy! Can i find CODONOPSIS/NETTLES freely in nature where i live? I live in Ottawa ON CANADA and how would i prep them. Could i make a tea or some brew? Just asking! You actually can! A friend of mine was talking about this the other day. What he would do is to pick them when they first come up in the spring, before they are around a 12 inches tall. Be sure to wear gloves, he said that you will get stung if you try to pick them with your hands. Only take a few of the leaves from the top and put them in a plastic bag, wear gloves to transport them in the sink. The wash them thoroughly to get out the parts that sting off the leaves. Once you do that, you can either boil them with some type of tea, and add some lemon and honey for flavor, or even a dash of cinnamon. You can also put them in numerous other dishes!